Whatever deep the emotional sensations at the Russian folklore may be, they are certainly emphasized by a magnificent interior of the Palace. It is a fine specimen of architecture of the 19th century built to the design of the famous German born Russian architect Andrey Stakenshneider for Emperor Nikolay I'st son, Grand Duke Nikolay. Due to this fact, the current name of the former Grand Duke's residence is the Nikolaevsky Palace. The Palace-is unique not only by its architectural design. It remarkably combines the memories of more than century's history of the city existence. The walls of the Palace remember daily life events of the Grand Duke's family as well as vigorous activities of the new political class representatives roused by the communists to rule the New State. It was a tradition then that the monarch's sons should make their career in the army. At the age of15, Grand Duke Nikolay Nikolayevich Snr was enlisted in Cavalry and gradually took a great interest in it. Eventually he received the rank of Inspector-General of Cavalry. The epitome of the Grand Duke's career was during the war against Turkey in 1877-1878 when he was appointed Commander-in-Chief of the Russian Armies in the principal European theatre. 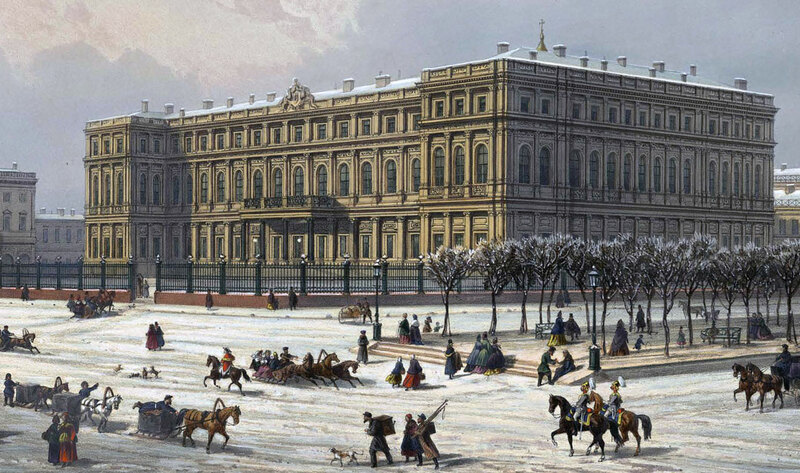 In December 1861 the Nikolaevsky Palace was inaugurated and consecrated. The site selected was in Annunciation Square (the Square of Labour nowadays). This part of the city beside the first permanent bridge across the Neva river was known a prestigious and costly suburb. Many luxurious restaurants popular among the city elite were placed there. Nearby was the English Embankment, a favourite promenade for the high society. The Crown Lands Department owned a substantial parcel of land there. By the order of Nikolay I, it was allocated to the palace for his son Nikolay. The building was constracted a rectangular in the early classicism style. The paved courtyard in front of the Palace is surrounded with fancy iron railings on a red granite base. The enormous Entrance Hall is grand and imposing. The effect is crowned by the main marble staircase which is grand and imposing by itself. It is considered an undoubted triumph of the architect. Going up the stairway, one can get right into the spacious Ballroom of 17 metres high (the present Concert Hall). The Banqueting Hall beside it is one of the largest rooms in the Palace. It was used mostly for celebratory dinners and as a reception-room on special occasions. Its walls are decorated with elaborate mouldings featuring fish, game, fruit and vegetables. The Palace is distinguished by the location of the Church of Our Lady of Sorrow in it. It is the only family church in all the residences of the grand dukes with the entrance on the main staircase. After the Grand Duke's death in 1891 the Palace accommodated a Woman's Institute named after Grand Duchess Xenia, sister of Nikolay II. 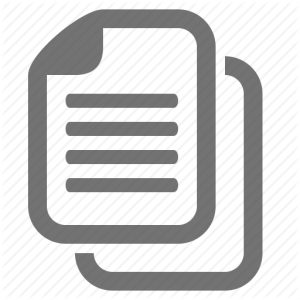 The Institute was supported by allocations from the budget and private Xenia's means. The students were mostly of middle-class background.